Xi’an, whose name means Western Peace, is the capital of Shaanxi province. This city is known as “the imperial face of China”. 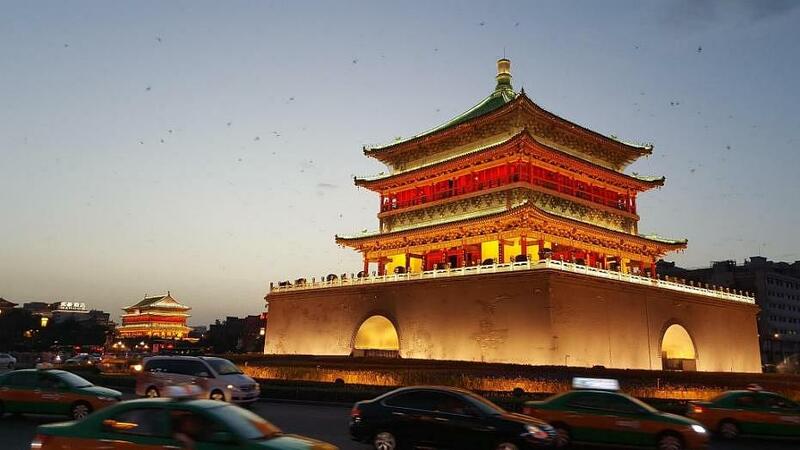 Located in the heart of China, southwest of Beijing, Xi’an is the point of departure for the Silk Road and a must-see tourist destination in China. 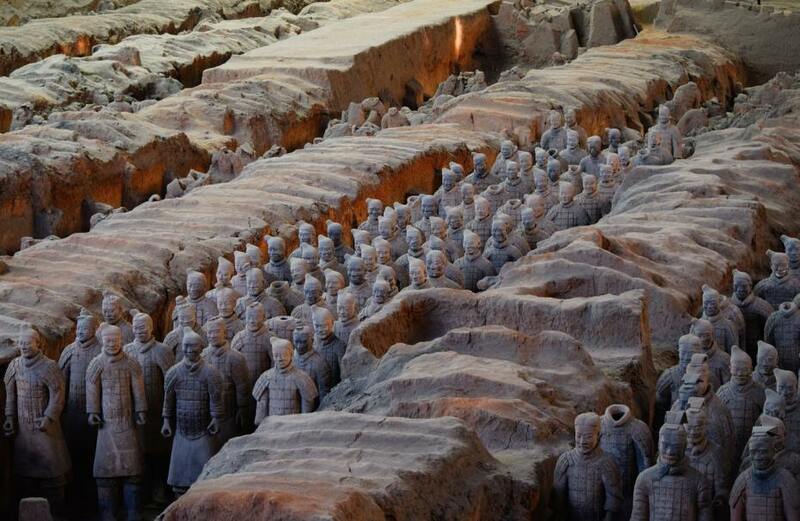 This traditional medieval-style city offers tourist attractions such as the world-famous Terracotta Warriors, an army of 8,099 statues that guard the tomb of Emperor Qin Shi Huang. Xi’an also enjoys other attractions such as the Great Wild Goose Pagoda, the Banpo Museum and the Muslim Quarter. Being one of the most visited cities in China, Xi’an has good air connections through the Xianyang International Airport, located 41 kilometers from the center of Xi’an and the rail system with its high-speed trains that allow quick access to other areas of the country. Due to its location, Xi’an enjoys a temperate climate with average temperatures of 14°C during the year. However, temperatures can be extreme depending on the time you visit. The summers are hot and humid, with temperatures that can reach 43°C, but the winter is usually very cold, with drops of up to -20°C. The cuisine in this city is influenced by the mixture of different cultures, especially Arabic food, and (in turn) includes typical local dishes which can be tasted in the Muslim street. Xi’an is divided into nine districts. Among the best areas to stay in Xi’an, there’s the central district, framed by the old city walls.See acommodation in Xi’an’s City Center. The best hotels to sleep in the imperial Chinese capital. Hostels and cheap stays in Xi’an. Looking for independence? 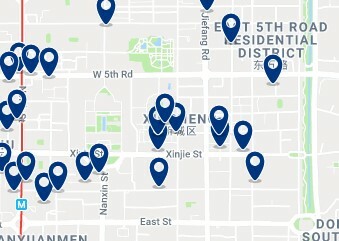 Book an apartment in Xi’an. Guest houses & bed and breakfast in Xi’an. Xi’an’s City Center, surrounded by residential districts, is ideal to stay as it is a commercial area and hosts a variety of bars and restaurants, as well as a lively nightlife. In this area, emblematic buildings stand out, such as the Bell Tower, the Drum Tower and its museum, as well as the Muslim street, a commercial area with great street food. These and other attractions such as The Ancient Wall and the Bell Tower that make Xi’an’s City Center one of the best areas to stay in Xi’an. Line 1 of the Xi’an metro cuts this area from north to south, so reaching other points of the city is simple. Xi’an’s City Center, due to its location and tourist entertainment sites, is an excellent area where to stay in Xi’an and it is well worth staying here. The center has multiple accommodation options, from luxury hotels to apartments, through cheap hotels and hostels. Eastern House Boutique Hotel offers Oriental-style rooms, as well as free Wi-Fi in all areas, in the center of Xi’an, about a 5-minute walk from the city wall. – from US$66. offers comfortable accommodation in Xi’an. Free WiFi is available in all areas. It is located in Xincheng District, a 10-minute walk from Chaoyangmen Subway Station (line 1).- from US$29. 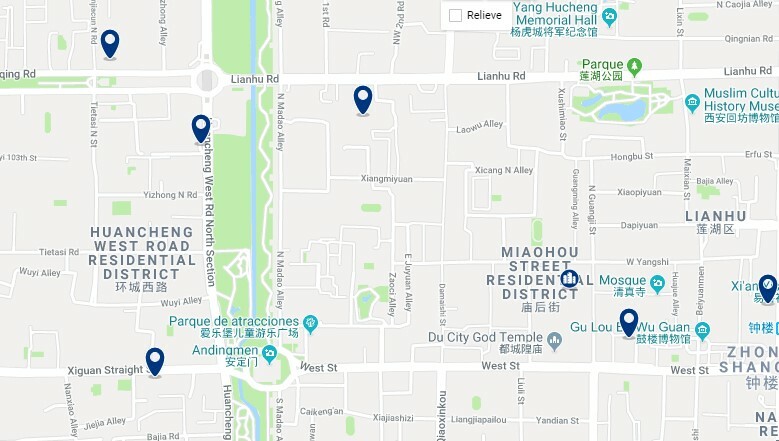 PuSu Jade Boutique Hotel is located in the center of Xi’an, next to the Xi’an Wall, just a 5-minute walk from the Zhuque Gate and a 15-minute walk from the Yongningmen Subway Station. It offers cozy rooms with Wi-Fi. – from US$60. Hilton Xi’an is conveniently located next to the ancient walls of Xi’an and the Bell Tower shopping area, and offers an indoor pool and 3 dining options. Its rooms are spacious and feature works of art from the Tang Dynasty. – from US$119 . The Beilin district is located in the south area of ​Xi’an. It borders Xianyang to the northwest, Gaoling to the northeast, Baqiao to the southeast, Chang’an to the southwest and the districts of Lianhu and Xincheng to the south. Beilin is a residential area with some bars, shopping centers, and restaurants. The attractions in this area include the Small Wild Goose Pagoda, a multi-storey religious building built between the years 707 and 709, during the Tang Dynasty and the Stele Forest or “Museum of Beilin”, a museum that displays steles and sculptures stone of Xi’an. This area is connected by metro stations South Gate, Provincial Stadium and Yongningmen. As it has public transport stations, moving around the neighborhood and the rest of the city is simple. This district offers many luxury hotels for demanding travelers. Beilin is considered one of the best areas to stay in Xi’an. 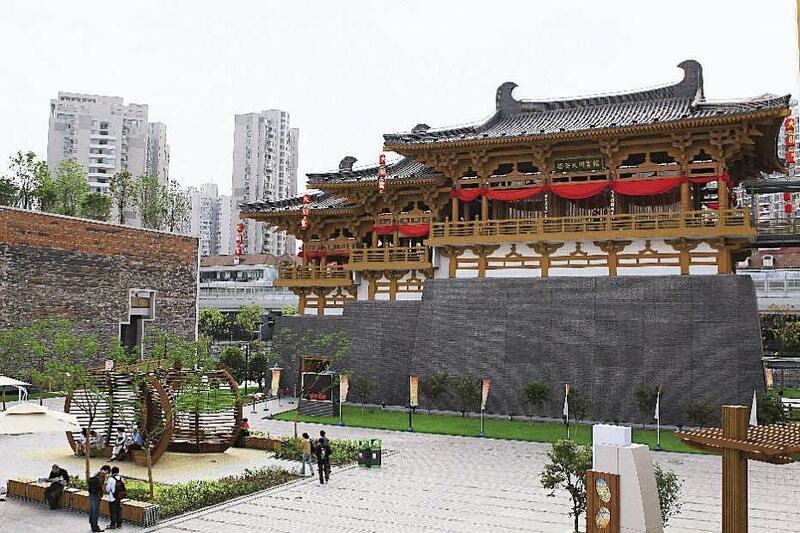 Grand Park Xi’an enjoys an ideal location in the center of the historic city of Xi’an, just a 5-minute walk from the Yongning Gate, the south gate of the ancient city wall. – from US$54. New Century Grand Hotel is located in Xi’an, 1.7 km from Xi’an City Wall. The establishment has a restaurant, spa, wellness center and beauty salon. – from US$60. is a luxury establishment located in the Shaanxi Xinxi Tower, one of the tallest buildings in Xi’an. It is located on floors 25 and above and has an indoor pool and fitness center. – from US$109 . Weiyang is one of the 9 districts of Xi’an and is located north of the city center. It is a cultural area that houses parks such as the Lake Amusement Park, the Chanba National Wetland Park, the ruins of the Weiyang Palace (declared a World Heritage Site by UNESCO) and the Daming Palace, which was the royal residence of the Tang emperors. 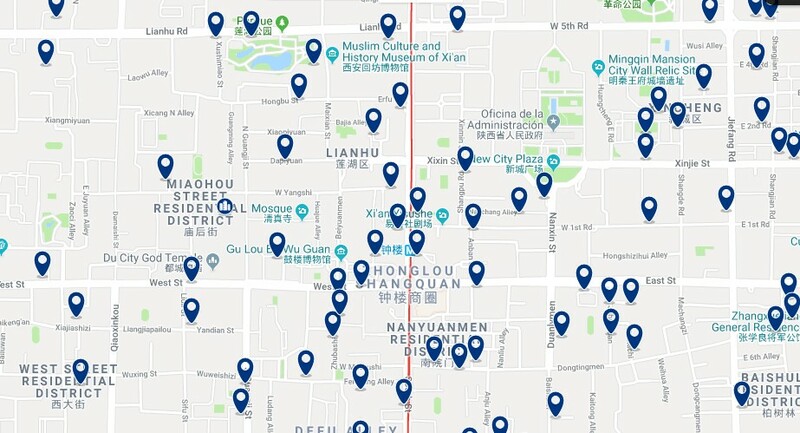 In this area you will find the subway stations Daming Palace West, Shi Tushuguan Station, Fengcheng 5th Road and Beiyuan Station. Being crossed by line 1 of the Xi’an metro, it is an excellent area to stay in Xi’an. The prices of hotels in Weyang also tend to be lower than those of more central locations, and this includes the many luxury hotels in the area. Novotel Xi’an SCPG is located in Xi’an, 2 blocks from the city wall and 1.2 km from Daming Palace. Guests can relax in the bar. – from US$57. Sheraton Xi’an North City Hotel is next to exit B of Longshouyuan subway station (line 2) and a 5-minute walk to Daming Palace, a famous tourist attraction. It offers an indoor pool, a hot tub and a wellness center. – from US$70. Lianhu (which in Chinese means Lotus Lake) is another recommended areas to stay in Xi’an. It is located in the west of the city center, bordered by the districts of Weiyang, Xincheng, Beilin and Yanta. 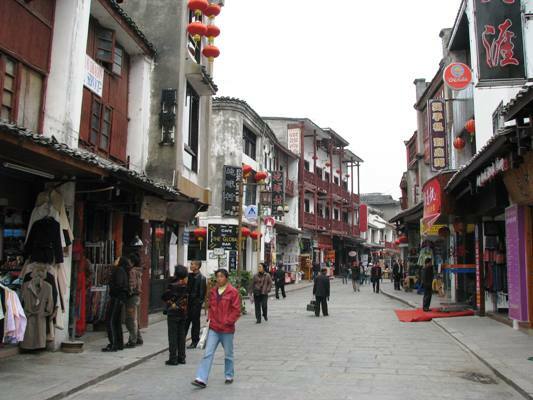 Lianhu is a residential and commercial area, with a variety of restaurants and some amusement parks. 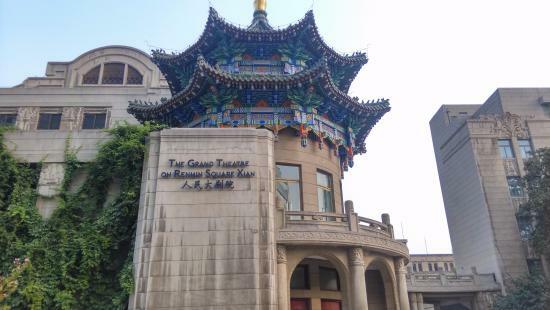 This neighborhood offers sites of interest such as the General Yang Hucheng Memorial Hall and the Drum Tower. With a quiet atmosphere, this area is ideal to stay for business plans and take a vacation to escape the hustle and bustle of the city. You can also find different restaurants and bars that give Lianhu a lively nightlife. This area is connected through three metro stations: Bell Tower, Anyuanmen and the Long Shouyuan station. Sheraton Xi’an Hotel is located next to the Second West bypass road, 5 minutes by car from the Xian technological industries development zone. It offers free WiFi throughout. – from US$99. Metropolo, Xi’an offers accommodation in Xi’an. The property houses a restaurant. – from US$29. Xincheng is located at the east end of downtown Xian and is also one of the best areas to stay in Xi’an. Among its attractions, you can find outdoor entertainment areas such as the Diver Palace National Heritage Park, as well as several restaurants, and a few bars and pubs. To get from Xincheng to other areas of Xi’an, you can use the metro from the Anyuanmen and Xi’an stations. Xincheng is a quiet residential area where to stay in Xi’an, away from the bustle of commercial streets, with traditional hotels, as well as modern hotels and cheap hostels. Grand Mercure Xian On Renmin Square is a luxury hotel located 10 minutes walk from the Bell Tower and the Drum Tower. It offers massage service, restaurant and parking. – from US$49. |ES| Dónde dormir en Xi’an. © Copyright 2019. 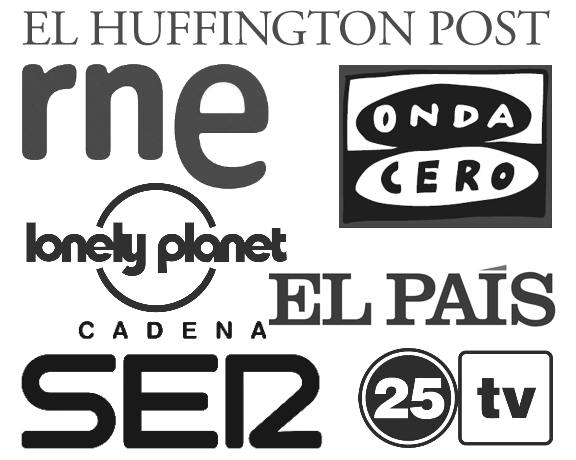 XIXERONE is an Aguacate Media company.